I've seen a few blog posts recently from designers who participate in affiliate marketing addressing some negative comments about affiliate marketing. So I thought I'd weigh in. Disclosure: I do not participate in affiliate marketing. "Affiliate Marketing" is another way of describing a commission, or in my view, profit sharing between a crafter and a company. Let's say I participate in affiliate marketing with X Company. I buy a stamp (or, get it for free), use it on my blog and other social media, and link it to The X Company Store. You follow my link to that stamp in The X Company Store (if I'm participating in affiliate marketing, you may see the words "shareasale" quickly pop up in your browser). Depending on the arrangement between The X Company and me, if you buy the product within a certain amount of time since clicking on that link, I'll get a percentage of what you paid for the stamp. The percentage is often around 10%, but it may vary. 1. Crafters with large a following are popular for a reason. They are talented -- there is something about what they create and/or how they present it that attracts a large following. They are so good that they make us want to buy the product. Personally, I need their ideas. I want these crafters to stay in business and keep inspiring me. 2. Speaking of business, affiliate marketing is a business. Many crafters are no longer crafting for a hobby -- it is their job. I love this. It's about time that talented crafters get rewarded with more than a free stamp set and the honor of being on a design team. 3. A few bloggers who participate in affiliate marketing get off track by the language they use to defend or explain affiliate marketing. They focus on their time and effort, and the expense of running a blog, rather than their talent in using products so well that they generates sales for a company. We stampers already know blogging is time consuming and expensive (we are buying the products and many of us are blogging too!). I prefer that they emphasize their talent and their value to both the stampers and the companies. Be proud of that talent! 4. Most stamp companies are small businesses. Some are very small businesses. Affiliate marketing allows these very small companies to get our attention and stay in business. There are so many paper crafting companies competing for our attention online. In fact, the amount of new product released every month is mind boggling (a post for another day). A large established company could pay a top designer a flat fee to use a product, but many companies don't have that type of liquidity and having to pay a flat fee up front for each product would limit the number of products they offer. 5. There are some downsides to affiliate marketing. It encourages top talent to only use new products. We see sets used a few times and then we are quickly being introduced to something else. In addition, affiliate marketing encourages the top talent to use only products for which they get a commission. It influences what they pitch to us. It's our jobs as consumers to be savvy about this (again, a post for another day). 6. You'll read that affiliate marketing is at no cost to the consumer. This is tricky. It is true that I'll pay $20 for a stamp set regardless of whether I click on an affiliate link. It's possible that the price of that set would go down if the company wasn't paying a commission to the blogger. However, it's also possible that, absent the crafter's use of the product on his or her blog and social media, the company's sales would go down and, therefore the company's prices would go up to make up the loss of revenue. For me, the more important issue is whether the stamp company gets all of my $20, or shares it with the designer that influenced me to purchase it. I vote for the latter. To me, affiliate marketing is a win-win-win for talented bloggers, companies and consumers. Admittedly, sometimes I forget to use it. I tend to create long wish lists, not buy most of what's on the lists, and when I do buy, I forget to go back and click on that affiliate link. I've said it before, but this time I'm committed to clicking on those links. I need that inspiration to keep learning and growing. Clear and excellent explanation, Joan. Thank you! I appreciate you explanation. I admit I am torn about this issue. I appreciate the time, effort and talent of designers and think they should be compensated in some way. The problem that I have it that so often I feel marketed to in a way I never did before affiliate marketing and for me, it distracts from the inspiration and learning. As a stamper who spent quite a few years and a LOT of effort on design teams I'm all for affiliate marketing. I'm not affiliated, but I respect those who are. Like Leslie Miller, I have been a stamper for a number of years. I am not on a design team, but I do market for a company. They do not have an affiliate program, but, they are very generous with their product. For those who run a small business or blog and market for lot's of companies I understand their point. I would like to see companies release on a bi-monthly basis rather than every month. Many of the stamp and die sets over lap in design. I see no reason why I should buy and have 15 snowflakes from every company that releases them. I can probably create a card showing the current trend with what I already have (and do). This is another well written, well thought out blog post. Thank you! I'm not a fan. Can you imagine the self-doubt that settles in from trying to make a living this way, the questioning of your talent and your popularity? It sounds very unhealthy to me and I personally can't think of a more terrible way to earn money. And I'm not only talking about paper crafters. So many out there have chosen this program for all kinds of things! The day my 7-year-old grandson told me he wants to be a YouTuber when he grows up is the day all my doubts about social media and the way we live and think and buy today were confirmed. Too much stuff. I wanted to come back to explain that I would much prefer that companies pay their teams fairly. I believe that the people who design the actual stamps should be first in line and then the card design team. I also don't think that everyone in the world who can make a decent card should expect to earn money from doing it. For each release there is umpteen number of designers making a card for each new product. I'm pretty sure that the ones who get the majority of the "tips" are the stars of the stamping world. 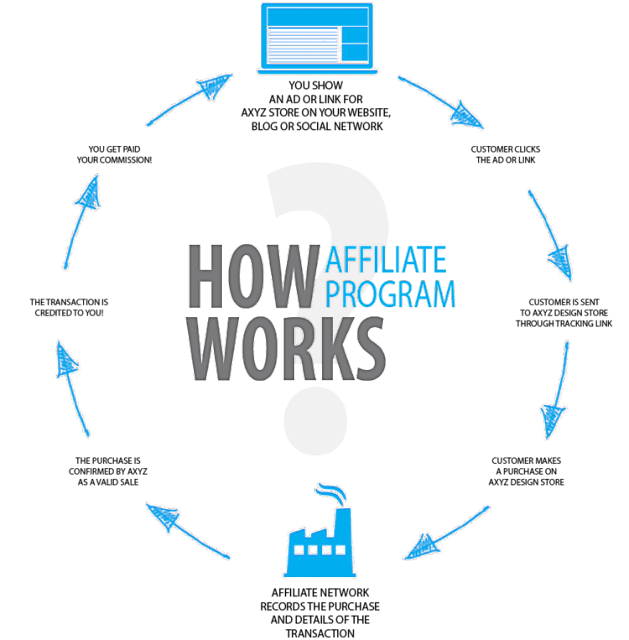 I also think that affiliate links, the way it's been explained to me, don't work well for the way the majority of people buy stamps. It's not like a major ticket item where someone has sold you on the thing and you immediately click on "submit". I make wish lists for stamps and have running carts and I'm sure that by the time I actually purchase the link is no longer valid. I don't avoid using affiliate links, I just don't think they're practical and think that companies should just pay their employees fairly. That is all. But I could go on about how I think there's way too much inspiration out there and that causes me to NOT buy certain stamp sets; I think I'll never be able to make it my own and that by the time I own the product it will be off trend and a big yawn to everyone, including me. Very twisted thinking, I know. Thank you for your great explanation Joan! I LOVE #3, be compensated for your talent. If you choose to host a blog that's on you. The amount of time and effort you put into it is your choice. Your content is your choice. And it's all based on your creativity. Yes, it's nice that you are being compensated by some companies for your talent. I am excited for bloggers that can earn a little money for their talent and sharing that talent with me. As you stated in #5, some bloggers use only the new stuff. They encourage us to try, buy and stash. Its great if there is something that really moves me; I will probably buy that product. But, I have to stay strong and tell myself that I need to use what I have if it's a similar product. I also feel that there are times that they have to USE what is provided to them and the results are not indicative of their best work. The project seems forced. Here, here! Love this! and TOTALLY agree! Some folks may not realize that many bloggers must actually diversify in order to "earn a living" at what they do (at least in the craft industry) and cannot rely on affiliate marketing alone; it is a portion of what they do. What began as my hobby 25+ years ago became how I earn a living today. I don't expect consumers to purchase via my links, but when they do, I appreciate it more than I can say as it truly does help me cover the hosting costs of my blog/website, and provides a means for me to help support my family. I do lament the fast pace of the industry--in that respect it is a dual edge sword... from my perspective (as a stamp/die product designer), it feels like there is an insatiable demand for new-new-new every time I turn around and it can be quite exhausting trying to keep up with that. But I'm also a consumer that genuinely loves so many different lines, sooooo not a purist, LOL! And, yes, I'm on a budget like everyone else, having to choose carefully what I purchase, trying to make smart investments in crafty tools and supplies that #1. I truly adore and #2. I know I will use. I'm not really a trend watcher--I just get excited about what I like and if it happens to be trendy (rare), well I'm the last to know it. LOL! I see many a wonderful product that gets left behind in the dust as the stampede for "all things new" tramples over the top of it... And, yes, I hoard lots of things out of fear that they will be discontinued and I'll never be able to get them again--and some of my favorites have been! I always laugh when I ask myself, "Is this project 'wood veneer star' worthy?" Ditto Julie E... "and, well, I just enjoy your writing." Thank you for your very smart and well-articulated thoughts. Bloggers (you are included) provide me with ideas and inspiration and tips and pleasure. I am happy to "pay" them in a way that does not even cost me any money.